Unfortunately, the last several days I’ve been down with what feels like the flu. So what does an author do with that sort of free time? Well, the main answer is keep writing. (Book two is coming right along!) In my case, you also come up with a giveaway, woot! That’s right, the paperback version of Prince of Light is FINALLY available. In New Orleans, Louisiana, something with a weird sense of humor is stranding myth in a nonmagical world. Dr. Tiffany Crews is a renowned psychiatrist, a klutz, Arkansas hillbilly born and bred with her feet firmly rooted in reality. Her two best friends, Janet and Mark, keep life interesting. Add in a duck with Houdini tendencies, and Tiffany leads a wonderfully laughter filled life. One morning, they find a unicorn in the communal courtyard of their townhouse and life takes a surreal twist. It leads to burning the bacon, along with the kitchen, yet they nevertheless refuse to leave the animal in a possibly bad situation. Until they learn it talks, anything veggie causes rancid flatulence in the form of rainbows, and its grumpy attitude can only be helped by indulging his carnivorous tendencies with Shrimp Po’ Boys. Drop in Flying Granny, sporting dragonfly wings and really flies, who calls herself The Fairy Godmother, and believes she was summoned to help find their soul mates. Reality takes another twist nobody is prepped for. The three friends are on the prowl during New Orleans’ infamous Mardi Gras to find where the two myths truly belong. Every attempt to find the truth leads to hijinks and compromising situations for the three friends, and a true appreciation for the unknown. Tiffany needs to find a way for the two myths to fit into reality, and keep her sanity in one piece. Sounds fantastic, right? To give us the inside scoop, T.J. lets us take a peek at her muses and what inspires her writing. Enjoy! – Where did you get the idea for your story? What was your inspiration? Lucky Number Six was the result of four conversations and personal experience. No, really! Last summer, I was having a conversation over on Falling For Fiction with an author who writes short stories/novellas. She made a comment that hit me pretty hard, to paraphrase, “People are looking for novellas as something to read on their phones or tablet while commuting.” I asked a few more questions, and it ended there. Early fall, I came down with the flu and had a conversation I barely remember with my stepmother about places magic could possibly happen (it’s her fav conversation to date) and, finally, I was asking questions of an author-ly friend, and all around funny gal, Carey Torgesen. That was all last fall, and I was hard at work writing Going Thru Hell. Spring came around, and I was talking to my sister about two ducks I had as a teenager. She went on about my niece’s obsession with unicorns and the Fairy Godmother from Disney films. Voila! I had The Fortune Cookie Diaries come into my head and refuse to leave. – Are there any books/authors that have influenced your writing style? Stephen King’s On Writing, okay, a lot of Stephen King. He’s more tactile than I am in his writing, but I love his ability to keep me turning the pages. Rudyard Kipling, Madeleine L’Engle, Judy Blume, Walter Farley, Denise Grover Swank, Lynn Stevie, Edgar Allan Poe, J.R. Ward (Rhage & Visious – oh yummy! ), Kresley Cole, Kim Harrison, and Karen Marie Moning. I could add at least forty others, but there is a limit here, LOL! They have each taught me something, and I love the “voice” of their work. It’s what keeps me coming back, time and time again. – It’s scary to jump into the world of self-publishing. (Trust me, I know!) What made you decide to take this route? Scary? Scary?! Try Diaper Wearing Terrified! The idea of highlighting self published authors on my own blog kind of pushed the idea. I resisted a bit, after all Going Thru Hell is still in the query trenches. But research showed that novellas don’t sell well traditionally, are notoriously hard to find a publisher. And I wanted to give a few laughs. I researched, and researched, and researched. I pushed hard, asked tons of questions, read more about self publishing than I ever did for my senior research paper in college. But after working for a publishing company as a copy/content editor for the past several months, I also knew what the expectations were, how to prep it, and what I had to beat in order to compete. So I flipped off Murphy and his bloody Laws, and took the plunge. – What’s your favorite part of writing? Getting lost in the writing. Forgetting where I am, the time, the day, even my own name. I love the creation, watching that movie in my head appear in the document. I love the ongoing, and constantly changing, challenges of writing. I love letting the MS sit for a month, then come back and see where my imagination took me. Sometimes in the wrong direction, but it is good for laughs. – When did you first realize that you wanted to become a writer? At the ripe old age of 29. I’d been writing little things since fourth grade. The first story I wrote was an assignment by Mrs. Hunter, one of my fav teachers of all time. I don’t remember exactly what I wrote, but I do remember her giving me a sheet of paper with a HUGE “A” and refusing to give the story back. I talked to her a few years ago – she still has that story (written 31 yrs ago) framed and on her wall. Not long after my 29th birthday (11 yrs ago – where does the time go?!?) I had a story rattle around. I knew nothing. Nothing, about writing. But life has a way of taking you onto other paths (Come on, sing “The Yellow Brick Road” with me). I’d finished three full length, badly written, overly plotted, too complicated, every mistake in the book, novels. And in 2012, we moved to Wyoming and I was given the opportunity to learn the mechanics of writing, had the time to throw myself into it. I landed a job as a Copy/Content Editor, joined Agent Query Connect, and I learned. I found out the writing community, for the most part, is full of cheerleaders and people more than willing to pass on what they’ve learned. I am now, officially, *whisper* an author. – Who designed your book cover? The wonderful Calista Taylor. OMG – we had emails fly back and forth, about the book, the premise, what I was looking for. And I love love love the two covers she’s made so far. And she didn’t send me to the poorhouse either. 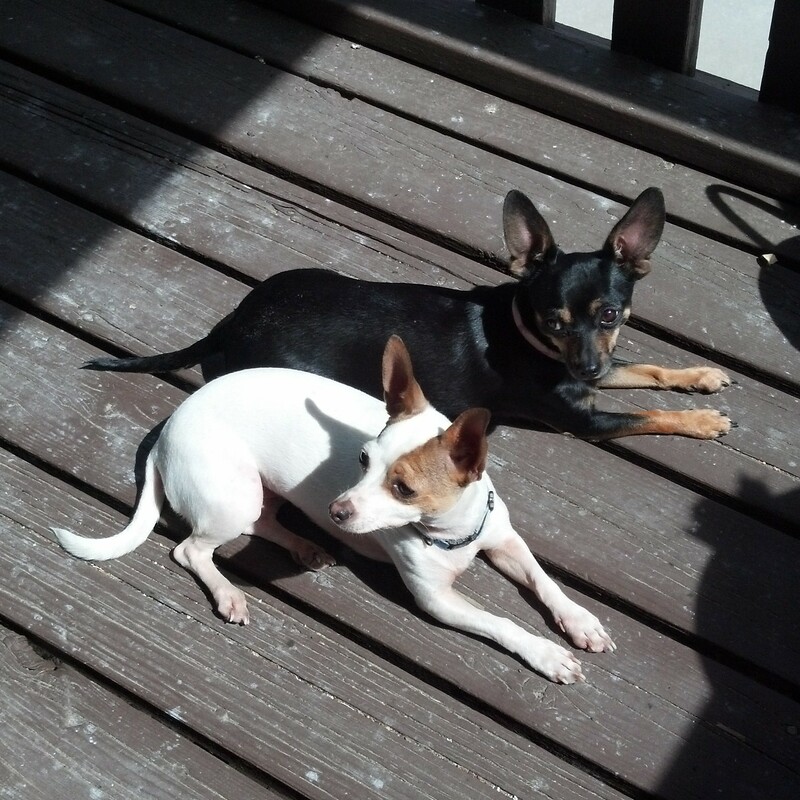 How cute are these guys? – What do you absolutely HAVE to have while you’re writing? Explore Wild Horse Loop and take pictures of mustangs, explore history/natural museums, read, ride, swimming if I can manage it, go and visit my parents, take pictures, cook, annoy Filly because I only have five years left of making her go, “Mooom! Really? !” And reminding Hubby he married me because of my rather quirky sense of humor. – What are you currently reading? I’m rereading Lynn Stevie’s Angel’s Kiss, and an MS I recently edited that I adored, a Science Fiction Fantasy called Without Bloodshed by Matthew Graybosch, and should be published by the end of summer. – When is your book going to be released? 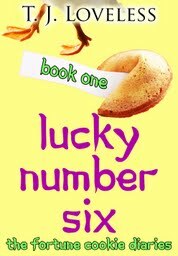 Lucky Number Six is due to be published via Amazon.com on June 15th, and will be free. That’s right, I’m not charging for the first book of the series. Book #2 – Odd Number Five, will be released by July 1st. See what I mean about T.J. being hilarious and made of awesome? June 15th is right around the corner, so keep an eye out. Personally, I can’t wait! T.J. Loveless has been reading and writing stories since the fourth grade. 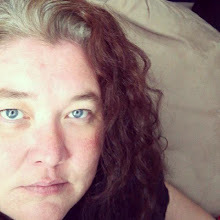 She writes predominantly in the Spec Fic genres, with a novella series to be self-published the summer of 2013, and one MS currently in the query trenches. She is also a copy/content editor at Curiosity Quills Press and freelances over at Cliffhanger Editing. She lives with one Editor Kitty, two Muses, a Hubby who prefers her mood when writing and a teenager who loves to tells stories of her mother on the floor trying to visualize “legs all akimbo” and how Writing Momma has long, often yelling, conversations with the computer screen. Adanna has spent most of her life in fear of the creatures known only as the Sky Demons after they took her mother from her when she was four years old. When a dying Sky Demon warns her of an impending attack, her tribe tries to escape before it can take place. Erik is a young soldier for the city in the sky, which uses magic to stay afloat…magic that Adanna’s people posess. His first real assignment shows him that the creatures they’ve been hunting all these years are actually people, just like him. When Adanna displays an impressive burst of power during the attack, Erik is the one to take her down and bring her in. But his feelings are conflicted when he realizes just how similar they are. I loved watching the two worlds collide and the difficulties that ensued. My only complaint, if you could call it that, was that the story felt a *little* bit rushed at a couple of points in the middle. I think it could have been fleshed out a bit more, but it didn’t detract from what I did enjoy about the story. (Plus I was reading an epic “Tolkien-esque” fantasy at the same time, so that may have just been me.) I really enjoyed the steampunk elements woven into the storyline, and overall I felt that it was a strong debut from a promising author. Lots of action right from the get-go and an intriguing plot/story. An enjoyable read. EDIT TO ADD: For some reason, the link is no longer working through Goodreads. The Internet gremlins apparently ate it. If you’re interested in more about this book, you can find it on Amazon.